There was a moment for me – I was still in university, sitting in a Corporate Finance class, and I learned that the largest initial public offering (IPO) in history had occurred. NetScape. For me, this was when the Internet arrived. From there, things went a little crazy…at least until the Dot-Com Bubble burst in 2000. That moment changed my career path instantly but, there is also no arguing that the Internet has changed everything for everyone. Since the University of Southern California Annenberg Center for the Digital Future published its first Digital Future Report in 2000, the total hours per week online has steadily increased from 9.4 hours to 23.6 hours. We used to have to go to the post office to mail things, now we just send an email. We used to write checks, now we e-transfer. We used to buy the newspaper, now news is fed to us through our Facebook feeds. It has changed everything from the way we manage ourselves to the way we obtain information to the way we communicate. But how are things different for the auto dealership industry? In my opinion, the largest difference is how consumers research cars. When I first entered the digital car market, it was to start an online car listing site. It was 2006 and this market was just beginning to be explored. During the 15 years since, car shopping has transitioned from consumers perusing traditional print magazines and newspapers to consumers searching online car portals and listing sites. This massive shift to digital shopping has created new efficiencies and challenges for dealerships and consumers alike. 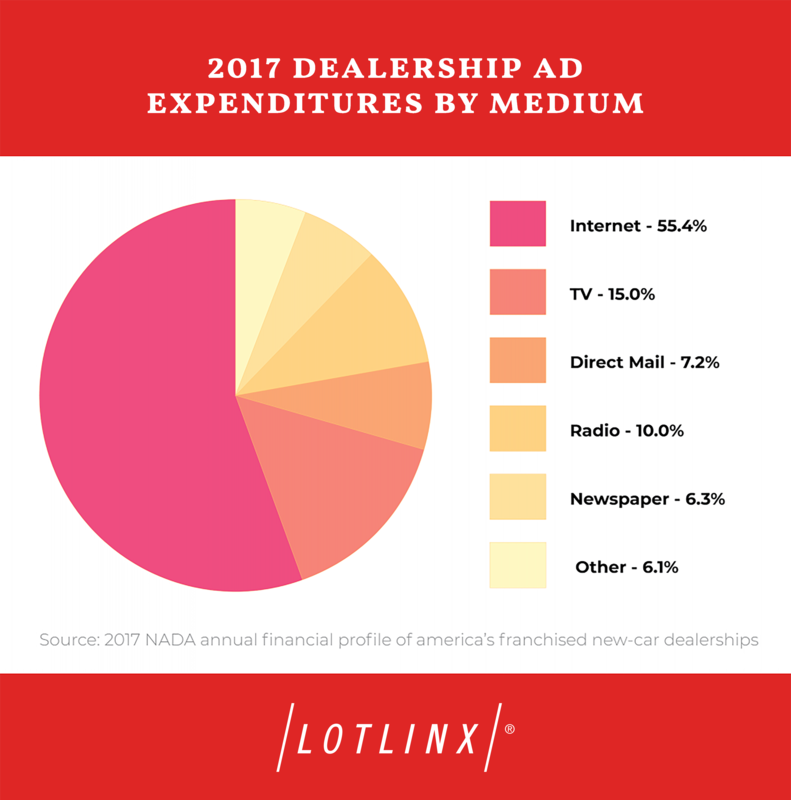 The NADA Annual Financial Profile of America’s Franchised New-Car Dealerships reported that in 2017, digital accounted for nearly 55.4% of a dealership’s advertising efforts – a 21.8% increase from 2016. In addition to listing their cars on websites, dealerships also use the internet to streamline business operations through software, CRM systems, and email – typical changes that most businesses have made to adapt to evolving expectations. It doesn’t seem like the digital evolution of business management is going to slow down anytime soon though…in fact, it seems like consumers are only expecting more. The shift from traditional advertising spending, such as newspaper and radio, to digital internet marketing won’t be slowing down either. According to the NADA report, U.S. dealerships are spending approximately 10 times more on digital advertising efforts compared to traditional efforts. In fact, it should accelerate as new technologies like artificial intelligence begin to be better understood and utilized within the industry. AI, ever heard of it? I don’t remember the first time I heard of AI. It was probably in a movie and it would have seemed very futuristic. But it isn’t now. It has become so ubiquitous in the last few years that you can’t help but come across articles that mention how artificial intelligence and machine learning are changing the world we live in. When people hear buzzwords like “artificial intelligence” or “machine learning” in the automotive space, they almost instantly think of autonomous vehicles. And yes – that has been a leading disruptor in the industry with manufacturers, tech companies, and suppliers investing as much as $80 billion over the past three years. These initiatives are exciting and revolutionary for the industry and if the trends of technological adoption cited in Mary Meeker’s 2018 Internet Trends Report are any indication, technology is only being adopted faster, allowing AI to be adopted and accepted just as easily by consumers. 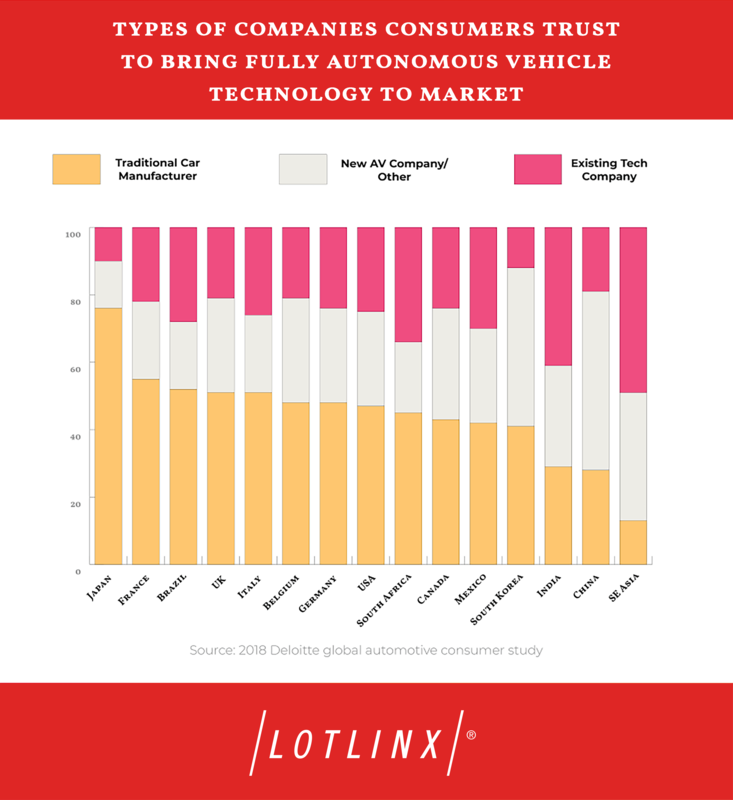 According to a 2018 Deloitte global automotive consumer study, safety, brand trust, and cost are all leading factors that contribute to consumer acceptance of these new technologies. But autonomous vehicles are not the only aspect of AI that the industry will benefit from. In my opinion, the most exciting prospect of AI in the automotive industry, including dealerships, is not autonomous cars – it’s the ability to leverage dealers’ data to help make instant predictions, and eventually decisions, that would otherwise be impossible to make (at least not without a team of analysts working around the clock). Digital marketing strategies have been, and will continue to be, the first component of a dealership to reap the benefits of AI – as this is by far the most dynamic, rich, and fragmented set of data to which a dealer has access. The speed at which AI technology is able to process data is incomparable to what it was a few years ago – and a lot had to change over those years to allow AI to become viable in the automotive space. I am often asked why AI is emerging in the automotive space now and why it is the future of how consumers and dealers will connect. It isn’t an easy question to answer, but I believe it’s a combination of changes that has created a space for AI to become the future of how cars will be listed, searched and found. The first change was the availability of cloud computing. Over the past decade, computing chip manufacturers were able to fit more and more capacity into their devices. This growth in computing power closely followed Moore’s law – the observation made back in 1965 by Gordon Moore, Intel co-founder, that the number of transistors on a chip doubles every year while the costs are halved. 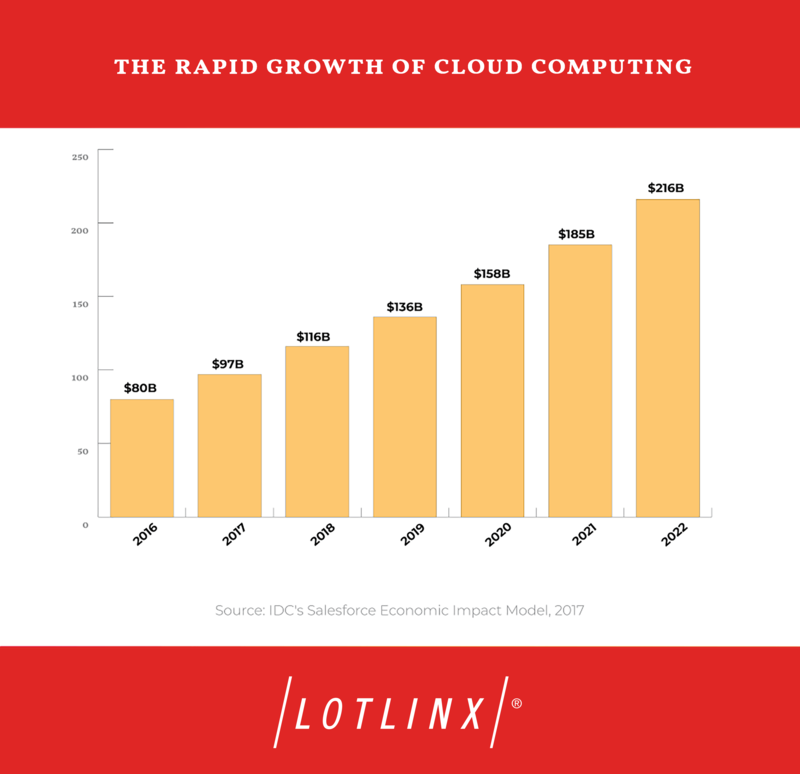 According to IDC, cloud computing spending is growing at 4.5 times the rate of technology spending since 2009 – and is expected to grow at better than 6 times the rate of IT spending from 2015 to 2020. The availability of data storage capacity also followed a similar trend – the increasing capacity has continued through parallelism: adding multiple cores in the same chip. This change is valuable for machine learning algorithms because now with more storage, these algorithms can be split into several computations – instead of one large formula. The smaller, individual computations make it possible to train machine learning models to solve practical problems in a reasonably short amount of time. The margin I am likely to make. Weather data that might influence shopping patterns. Up until a few years ago, it would have been nearly impossible to crunch all this data in real-time and come up with a model to predict and this is what is I find exciting about AI and machine learning. The potential. The kind of precision and speed we now can manage a campaign within our digital platform will provide dealers with incredible results. In addition to the advancement in hardware tools, there is an increased availability in software tools over the past decade. Companies such as Amazon and Google, who have been running on machine learning for the past few years, decided to offer their infrastructure to the masses (such as services like TensorFlow, Torch, and Theano). This gave companies like LotLinx, easier access to research into improved machine learning and artificial intelligence algorithms and allowed for our product team to consider how these algorithms could be used to create more efficiencies for our dealers. These advancements like the increase in availability of cloud computing and software tools will allow AI to become a viable option for businesses across all industries. The future of AI is in its ability to provide real-time data that can help dealers and car shoppers alike make better decisions. The availability of computing capacity and large datasets allows for the development of machine learning based products and capabilities including classification of objects in images, automatic text translation, speech recognition, language syntax parsing and speech generation. It is our view, that these advancements can all be implemented with technology at a dealership – enhancing efficiency as well as consumer satisfaction. Machine learning and artificial intelligence can uncover significant data. AI-powered technology will eventually allow dealers to make strategic decisions based on anticipated industry trends. Dealers will be able to view past data to predict market changes, regional disparities, and even macro trends like the stock market that could have an impact on auto sales. AI will become a part of tactical decision making as data such as past CPC costs and developments will be mined for how to improve future campaigns. 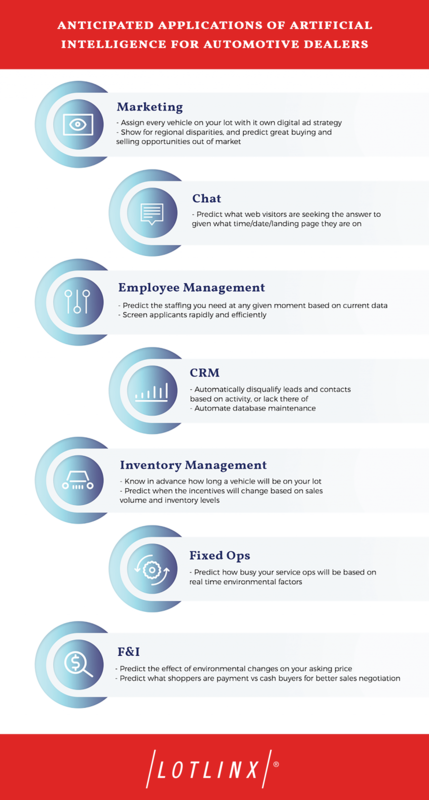 AI has the ability to assist dealers prepare for major buying and selling opportunities in their market, to predict how busy their service operations will be, and even control their SEM (Search Engine Marketing). It’s only a matter time before these options are available to all dealers. There are moments in time when ideas arrive when technology becomes a part of mass culture and in my opinion, this will be seen as the moment in time when AI has truly arrived for the automotive industry.